Shaun Marsh is desperate for runs after a poor series. 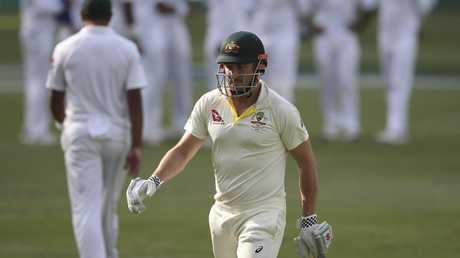 AUSTRALIAN coach Justin Langer has sent a message to out-of-sorts veteran Shaun Marsh: make it impossible for us to drop you. 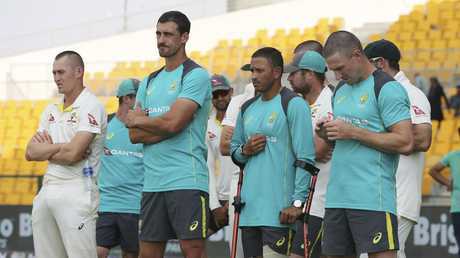 At the same time as giving a positive update on the fitness of Usman Khawaja, who Langer says could be fit to play a Sheffield Shield match before the first Test against India on December 6, the new coach demanded Marsh "make it irresistible for us to pick him". 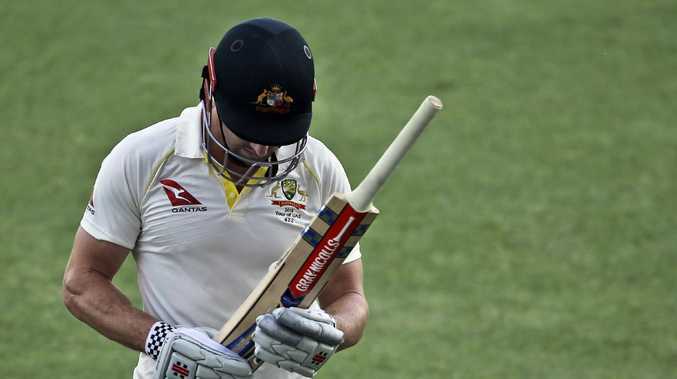 The 35-year-old is under series pressure to hold onto his spot in the Test XI after a shocking series against Pakistan in which he averaged a pitiful 3.5 across four innings - the worst of the Australian touring party, including No.11 Jon Holland (who finished with an average of 5). 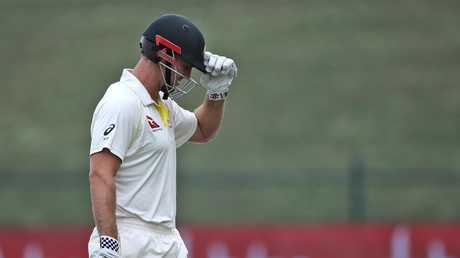 Little brother Mitchell Marsh, who was named vice-captain ahead of the series, also struggled in the 1-0 series defeat and finished with 30 runs at 7.50 and a top score of just 13. Between the two of them, they notched a mere 44 runs. Having been promoted to No.3 for the tour due to the promotion of Usman Khawaja to opener - and the ongoing suspension of alternate first drop Steve Smith - Marsh was a disappointment, Langer admitted. But he stopped well short of putting the red pen through the 33-Test veteran ahead of a packed summer - with India arriving for an important four-Test series. "(When) play well people write nice things, (if you) don't play well they don't write nice things," Langer said on Wednesday. "The (Marsh brothers) didn't play very well, their consistency isn't where it needs to be so therefore they get highs and lows. "It's the business we are in." Langer pointed to last summer where both brothers notched a pair of centuries and were the second and third-highest Australian runscorers, behind only the utterly dominant Steve Smith, as reason to believe they deserved another chance. "Shaun - we all know when he plays his best - think back to the Ashes he scored two of the great hundreds," Langer added. "Fast forward a few months he has two hundreds in the one dayers for Australia (against England). "He is such a good player when he is going. He has to maintain that form and make it irresistible for us to pick him." Langer provided promising news on Khawaja, who sustained a knee injury during the second Test in the UAE and is understood to have had surgery on Wednesday morning. "Some of my messages say he might be up for the Shield match before the first Test," Langer said. Khawaja is arguably the only member of the Australian top 6 to be assured of holding the same role this summer - fitness permitting - with even debutant Aaron Finch's impressive showing no guarantee to remain at opener, with a belief he might be better suited to the middle order on home soil. And Langer turned the heat up on the incumbents and their challengers - including the nation's rising talents, like Victorian sensation Will Pucovski who smashed a classy double century against Western Australia last week. 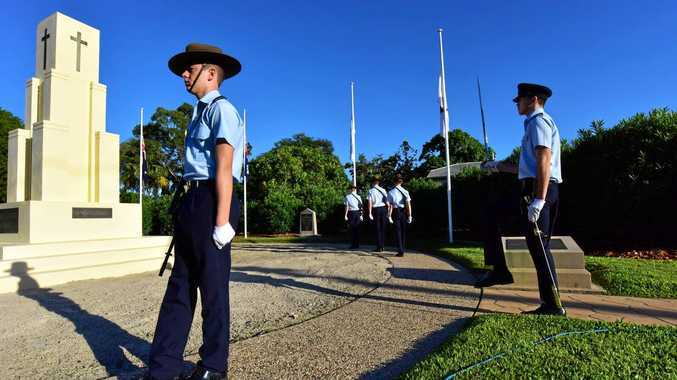 "When you're batting like us it's always open," Langer said. "25 batting collapses in the last three years. It's harder to get out the team than get in… I understand people saying show faith. "But I'm learning very quickly im in the spotlight. It is an open order because we are not performing. "You should pick the best players and the guys making the most runs. "Whether you're an 18-year-old wonder boy or a 30-year-old machine, (we will) pick who makes the most runs."